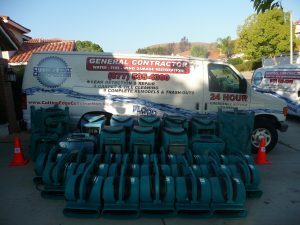 Do you need water damage removal or other restoration services in Lake Elsinore, California? It’s vital that you go with an experienced and knowledgeable company, without delay. In and around Lake Elsinore that’s Cutting Edge Construction. We’re the area’s one-stop experts for all types of damage restoration, on duty and ready to help 24/7. Water and flood damage restoration, and especially fire damage repair, are likely to leave you feeling overwhelmed and frustrated. There’s so much that needs to be done promptly and properly to minimize further damage and meet insurance company requirements. Recovering from a fire involves a ton of work, and very specialized knowledge to properly deal with ash, smoke, and soot. Even for relatively minor water damage a shop wet-vac and opening windows for ventilation simply will not dry things out fast enough. And then there are the building repairs themselves. That’s why we’re always ready to help with everything, from leak detection to final haul-away, and get your life back to normal as soon as possible. We’re proud to serve Lake Elsinore’s 52,000 residents and thousands of businesses. We’re a full-service damage restoration company. We’re certified by the Institute of Inspection Cleaning and Restoration, a worldwide leader, and follow their procedures and checklists to the letter. We’re also certified by the Cleaning and Restoration Association and a member of the Better Business Bureau. All of us at Cutting Edge is dedicated to technical excellence, business integrity, and the best in customer care. Whether it’s fire damage repair, flood damage restoration, or water damage removal we’ll meet coverage requirements for damage mitigation, repair, and restoration. Cutting Edge will work directly with your insurance carrier. We know you’re facing an unexpected major expense and do not require any up-front payment; we’ll wait for your insurance. We also understand how stressful these situations can be and are ready to take care of everything, from leak detection to final cleanup. And that’s not just building restoration. We can remove, store, and return your belongings and even arrange a hotel stay while we restore things to pre-loss condition. Whether major or minor, flood damage restoration requires professional attention to avoid problems that may very well be hidden from view. In addition to pump-out, there may be some specific sanitation or toxin issues to be addressed. 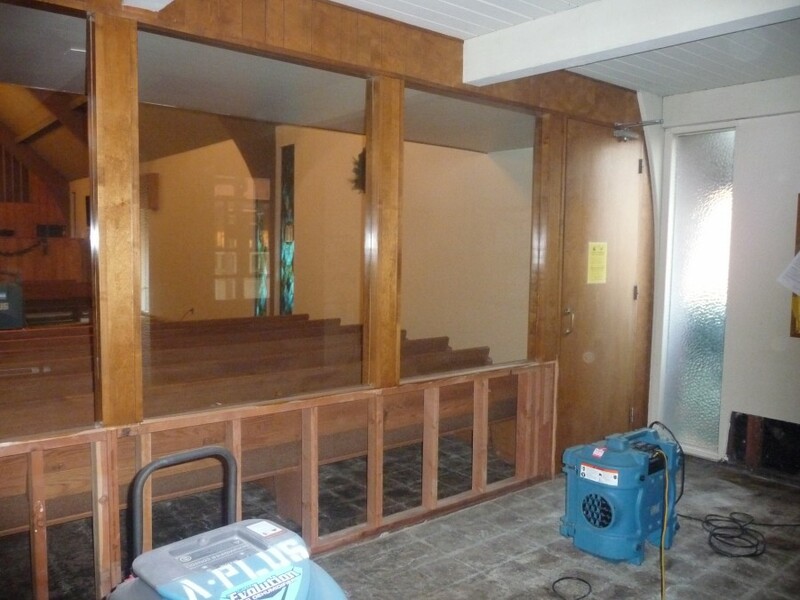 The next step is water damage removal. Water penetrates and hides, and can lead to mold and odors, discoloration, warping and splitting, and even structural damage. At Cutting Edge, we have the special equipment, training, skills, and experience to do things right. Interesting Facts: In the past, Lake Elsinore’s level has varied dramatically, from “little more than a swamp” in the early 1800s to the Great Flood of 1862. That was immediately followed by several years of drought, then heavy rains and an overflow in 1872. But low rains that same year lead to very low water levels. Then in the 1883-1884 winter, Lake Elsinore again overflowed down Temescal Canyon. In the 1950’s the lake nearly completely dried up, only to flood homes and businesses in 1980. With that, a major project was undertaken that has since kept the lake at a nearly constant level, with overflow through Alberhill Creek. 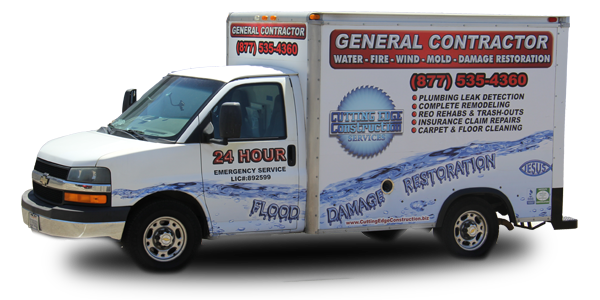 Whether from natural flooding or a flood caused by a busted pipe or water heater, avoiding further damage calls for a certified water damage removal specialist. Even a minor plumbing problem, requiring special leak detection methods just to find it, can lead to major problems if neglected. 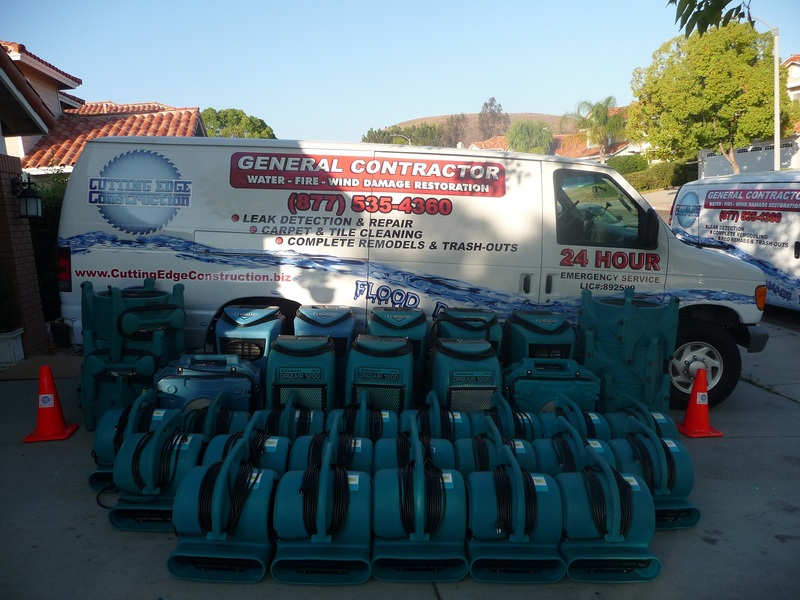 In addition to some of the best technicians around, our resources include special truck-mounted water extraction equipment and the latest in dehumidification drying. Compared to older methods, we can complete building dry-out several times faster for the absolute minimum of ongoing damage. 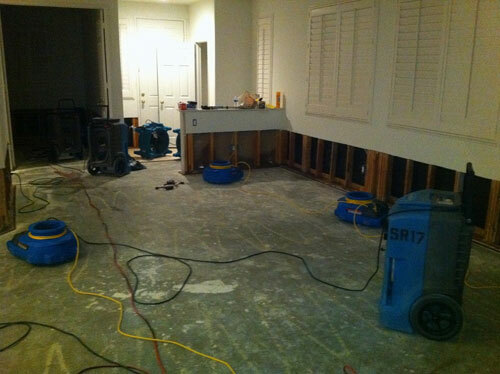 Plumbing leaks are the most common cause of water damage. Leaking fixtures are easy to spot, but the problem may be within a wall or under the concrete floor slab. You may notice mold or odors, or perhaps a damp or warm area. Or your only clue may be an unexplained jump in your water bill. We combine our years in the business with the latest in electronic leak detection equipment and thermal imaging to pinpoint the location of the problem right from the start. Anything less will end up costing you a lot more. There’s simply no excuse for unnecessary demolition just to locate the leak! There are few things more upsetting and overwhelming than a home fire. Beyond the obvious damage ash, smoke, and soot can travel throughout your home in directions and into places you’d never expect. And it’s not just a matter of appearance. Different types of fires cause different types of smoke and soot, thus requiring different types of treatment. In addition to health issues from toxins, deposits are often corrosive and will gradually damage your possessions if they’re not properly cleaned. Odors will immediately start to penetrate into interior finishes, carpet, and furniture. If not properly stopped soon enough, those odors are no longer treatable and can linger for years. Beyond interior, structural, and exterior repairs, fire damage repair demands a broad range of professional expertise. Cutting Edge has all the equipment, training, skills, and experience needed to: assess the damage, prevent further damage, sort out everything that’s salvageable, provide special cleaning and advanced deodorizing, make repairs, and haul everything away.